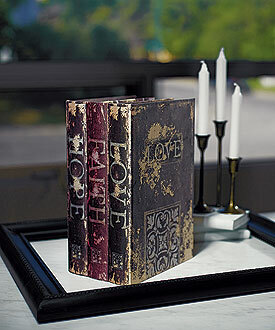 With the antique look of the old classics in mind, this unique "Wshing Well" will make a great décor accessory. 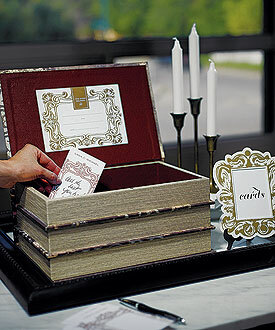 Wrapped in printed silk fabric with magnetic closer, this novel box will look impressive at any wedding and serve as a lovely keepsake in the years that follow. Besides, it appears to have already stood the test of time!